Commercial/Business Units to Let, Wick.Flexible Terms. 3 bed central located house for rent, weekly or nightly. If interested send an email to info@mackayshotel.co.uk with name and contact number. £600 p.c.m. is negotiable and a rent-free period to allow for start up. Commercial/Retail premises for let in the centre of Wick. Large shop frontage onto Bridge Street, with a small kitchen area, storage area and a work room/office space to the rear. Rear access to Back Bridge Street. A staircase leads to the upper floor with spacious display area/office with three large windows facing onto Bridge Street, three W.C.’s and storage area. Attic storage space. Consideration would be given to leasing the ground floor and WC facility upstairs and the remainder of the upper floor separately. These premises are for let but a sale may be considered. Commercial premises for let in Wick town centre. Landlord registration number: 96628/270/25450 Deposit £300 and Rent £300. Call Pollards Estate &#38; Letting for details. Energy Efficiency rating G.
No bills - electric, water, broadband all included in £150pw charge. 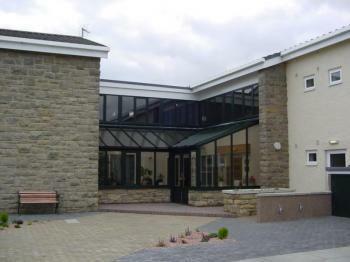 Premises shared with The Treatment Suite which offers a 2-3day podiatry service out of a single room located in the middle of the property. Any business considered and an introductory reduced weekly charge for any new business to aid start up also negotiable. 21 rooms of various sizes. Fenced in area of Base extends to 1.4 acres. Car park for approximately 25 Cars. Property is located about 60 foot above sea level on rock base. No chance of flooding and no near neighbours. Planning consent was granted previously for studios, Gallery skateboarding, cafe, etc but failed due to lack of funding at that time. Has the potential to be converted for a number of different uses. Situated two miles out of Thurso, over looking Thurso Bay and the Pentland Firth and island of Hoy. For more details contact Allan Tait. Modern, furnished, offices for between one and ten people in an established business environment. Simple licence agreement with no long term commitments. Competitive rents include business rates, water/sewerage rates, buildings insurance, electricity, use of communal toilet / kitchen facilities, cleaning of common parts and general maintenance/repairs. Telephone and broadband services available in all offices. Free use of separate meeting room (subject to availability). There is ample off-street parking and a south facing patio overlooking communal gardens. A bus service to and from Thurso town centre stops outside. 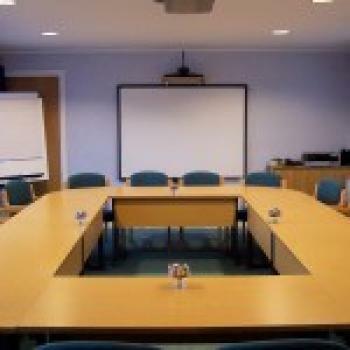 Choice of modern styled, light and comfortable meeting rooms for up to 16 people. Rooms may be hired by the Hour, Half Day (either 8am to 12 noon or 1pm to 5pm) or Full Day (8am to 5pm). A range of catering options to suit individual requirements are available at additional cost. Self-contained ground floor office suite comprising large office, store, kitchenette and cloakroom. Total floor area approx. 28m2 (300 ft2). Electric heating and hot water. Off-street parking. RV: £2,500pa. Rent includes buildings insurance and grounds maintenance.